I am thinking about doing fishing seminars in north port, at the WKDW studio’s in the Commons green room they. It would be a once a month and the same talk as the fishin Club we have at Luigi’s once a month. 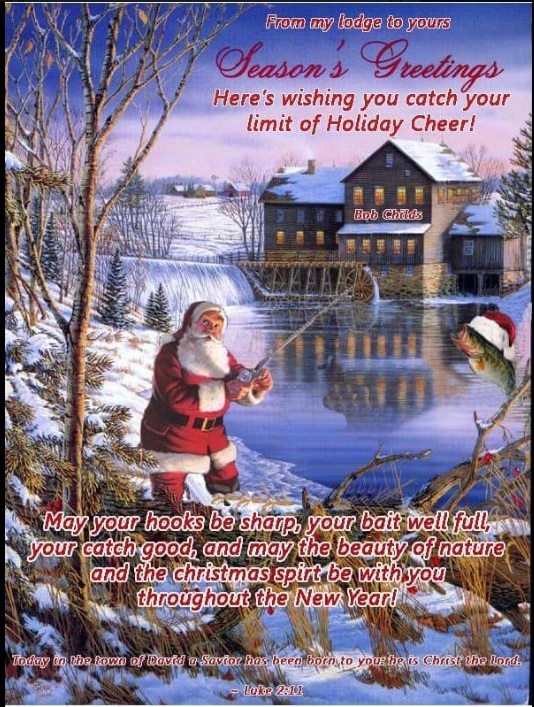 Well it is a South west Florida Fishmas. Yes indeed. Not all of us have family here and fishing is a great way to enjoy the wonders of being outside and a part of the amazing weather that Florida is famous for. It is not a winter wonderland but it is a fisher-mans paradise. and If you do have family here it makes it even better. Red fish are starting to appear along the flats just south of Ponce and in even better number in front of Bull and Turtle bay. Some of the best fishing can be found out at the Placida Trestle and along the ICW. Trout fishing in Lemon bay is very good right now. Scattered bits of red tide around the area. But no real problems. Triple tail in the near gulf are thicker in numbers and larger in size than we have seen over the last few years. We hope you have a safe and fun Christmas Day.